The Pilot Health Project started by Government of India to study the rural health condition recommended the establishment of training centres for training peripheral level health personnel. 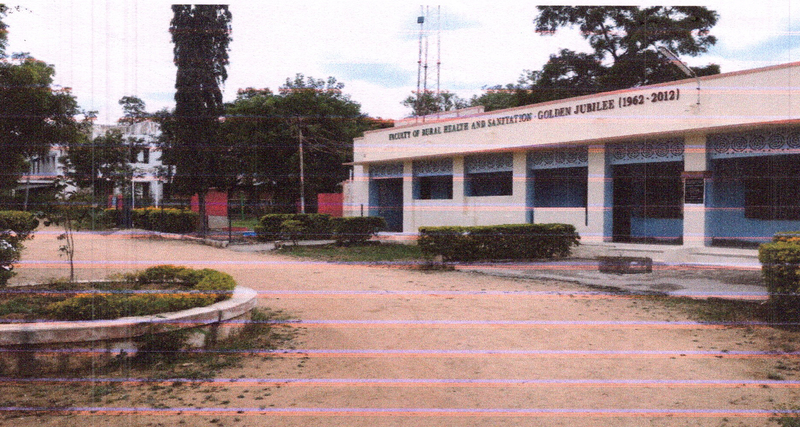 Based on this recommendation, the Faculty of Rural Health and Sanitation was established in 1961 in Gandhigram Rural Institute as one of the three centres established in the country during that time. The main emphasis in the curriculum is field training and the thrust area of activity is rural health and sanitation. The Faculty has been offering a PG Diploma in Sanitary Inspector Programme which caters to the manpower needs of the local panchayats, municipalities, corporations and the Indian Railways in the fields of Health Inspectors and Food Inspectors. As of now, all the students who successfully completed the programme are working in Tamil Nadu.